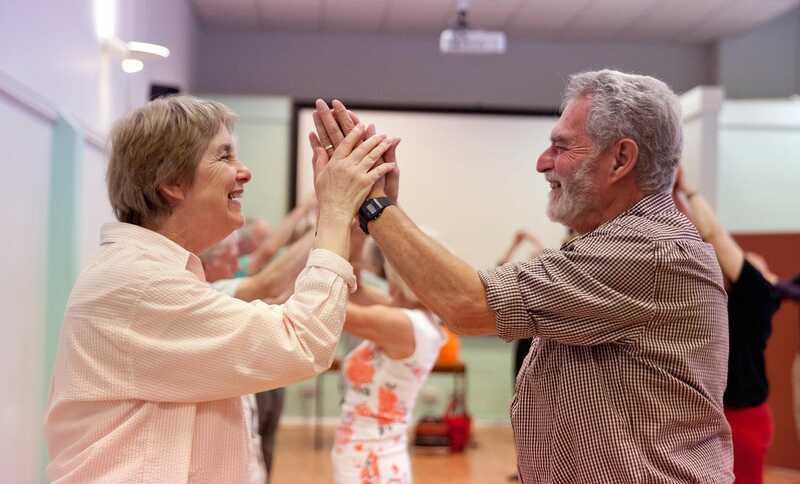 Our Dance for Parkinson’s programme is a high quality dance class delivered within a professional dance studio with live music for people with Parkinson’s, their family, friends and carers. The programme is proven to support people with Parkinson’s to develop confidence and strength, whilst temporarily relieving some participants of symptoms in everyday life. Classes are expressive, creative and promote feelings of freedom from the physical and social constraints of having Parkinson’s. The ballet did make me urgently want to move more, and move better and hinted at how this might be possible. Contact English National Ballet to register your interest: engagement@ballet.org.uk or call 020 7581 1245. Contact Caerphilly Arts Development Team to register your interest or for a booking form: artsdevelopment@caerphilly.gov.uk or call 01492 224425 ext. 224. Contact National Dance Company Wales to register your interest or for a booking form: sarah@ndcwales.co.uk or call 029 2063 5614. Contact DanceEast to register your interest or for a booking form: health@danceeast.co.uk or call 01473 295230. Contact Merseyside Dance Initiative to register your interest or for a booking form: info@mdi.org.uk or call 0151 708 8810. Contact Oxford City Council to register your interest or for a booking form: cthompson@oxford.gov.uk or call 01865 252820. Weekly classes commence from Wednesday 8 May – Wednesday 19 June, 10am – 12pm, at The Whitworth. Please note: There will be no session on Wednesday 29 May. Contact English National Ballet to register your interest by Monday 22 April: engagement@ballet.org.uk or call 020 7581 1245.